Our goal is to connect people with the best local experts. We scored plumbers on more than 25 variables across five categories, and analysed the results to give you a hand-picked list of the best plumbers in Austin, TX. Accurate Leak and Line serves customers in the Dallas/Fort Worth, Houston, and Austin/San Antonio areas. Their technicians specialize in underground pipe diagnostics, and are experts in trenchless no-dig pipe replacement and slab-leak repair. Adept Plumbing serves Austin, Barton Springs, Bee Cave, Buda, Cat Mountain, Dripping Springs, and the surrounding areas. They provide a variety of home plumbing services, including but not limited to the repair, replacement, and installation of water and sewer lines, water heaters, faucets, drains, garbage disposals, and dishwashers. Because plumbing problems can occur at any time day or night, Adept offers emergency services. Aloha Plumbing employs licensed Master Plumbers to serve Round Rock, Georgetown, Pflugerville, Hutto, Austin, and the surrounding areas. They handle all types of leaks, tankless and traditional water heater installation and maintenance, faucet and toilet repair and replacement, water pressure issues, water line repair and replacement, and much more. Austin Area Plumbing and Drain Cleaning is a locally-owned and family-operated plumber with nearly 40 years experience in the plumbing industry. All plumbers with the company are certified to install tankless water heaters, but they all handle typical plumbing jobs, too. They understand every situation is different, so they charge by the job, not by the hour, and never charge any extra fee for emergency calls after hours. Blue Dragon Plumbing is a family-run, locally-owned company who has been in business since 2011. The head plumber at the company as over 30 years' experience as a journeyman plumber, and every plumber at Blue Dragon Plumbing is licensed, bonded, and insured. They handle a variety of plumbing jobs for residential and business customers. Burl's Plumbing is a professional firm serving Austin, Texas and the surrounding areas. They have over 40 years' experience in the plumbing business. They can resolve all types of plumbing issues, including drain and sewer line cleaning, installation and repair of traditional and tankless water heaters, and re-piping. For difficult-to-find clogs, they offer camera and video inspection. C&K Plumbing is a plumber who serves the greater Austin, Texas area. The head plumber is a licensed Master Plumber, with over 20 years experience in the industry. C&K Plumbing can handle emergency plumbing repairs, bathroom and kitchen remodels, water heater installations and repair, and a variety of other projects in homes and in businesses. Cooper's Plumbing serves Bee Cave, Lakeway, and Spicewood, Texas. They employee at Cooper's have been Master Plumbers since 1990, and are licensed, bonded, and insured. They take great pride in their work ethic, professionalism, and they have an A+ rating with the Better Business Bureau. Custom Plumbing Services is a full service plumber catering to customers in and around the Austin, Texas area. They handle a variety of plumbing jobs, including bathroom and kitchen remodels. The professionals at Custom Plumbing Services take pride in the high quality of their work, their punctual staff, and their fast, same day service. With over 40 years' experience in the field, they have earned their customers' trust. Eagle Plumbing is a full service plumber handling small problems like dripping faucets, and large problems like plumbing an entire home. They are a family-owned and operated company, and have been in business since 1982. They take pride in being able to meet all of their customer's plumbing needs with care and professionalism. Economy Plumbing Services is a full service plumber working in and around Austin, Texas. They handle both residential and commercial jobs, including water heater repair and maintenance, toilet repairs, natural gas and propane line installation and repair, and backflow testing. The professionals at Economy Plumbing Services understand that plumbing problems can arise at any time, so they offer emergency services 24 hours a day, seven days a week. Family-owned ET Plumbing is licensed, insured, bonded and serving a variety of areas around Austin, Texas, including but not limited to Liberty Hall, Cameron, Lexington, Snook, and San Marcos. They take on a variety jobs including waterline repairs, sewer and gas line repairs, and sprinkler installation and repairs. They also handle new installation and maintenance, as well as regular plumbing problems. Excalibur Plumbing is a full service plumbing company, ranked number one on Angie's List four years in a row. They are fully licensed and certified, and serve customers in Williamson County and Travis County. They handle a variety of jobs, including general plumbing services, water heater installation and repair, leak detection, drain cleaning, and toilet repair. EZ Flow Plumbing is a locally-owned and operated plumbing company, with over 25 years' experience in the plumbing industry. They provide general plumbing services, drain cleaning, hydro jetting, and a variety of other services. They take pride in performing quality work at affordable prices. 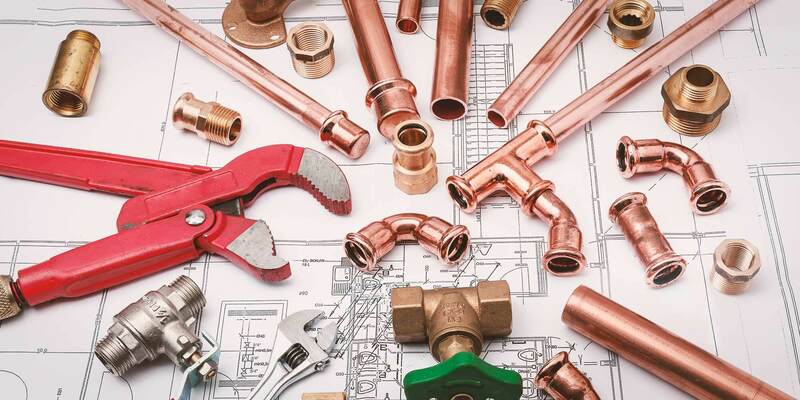 Good Flow Plumbing is a full service plumbing business, whose owners have a combined 30 years of experience in the plumbing and trades services industries. They handle a variety of jobs, including water heater installation and repairs, pipe and sewer work, toilet and sink work, back flow inspections, and much more. They serve both residential and commercial customers in and around the Austin, Texas area. Gotcher Plumbing and Backflow is run by a Master Plumber, who has over 17 years' experience in the plumbing industry. Since 2003, he has been a BPAT (Backflow Prevention Assembly Tester), and is bonded, licensed, and insured. Gotcher provides a variety of plumbing services, and have an A+ rating with the Better Business Bureau. Green Plumber of Austin is dedicated to making homes and small businesses more water efficient. They perform water audits to help customers identify where they can save water, and install solar water heaters, high efficiency heaters, rain water collection systems, and efficient fixtures in new construction or remodels and retrofits. Hakuna Matata No Worries Plumbing is a residential and commercial plumber who serves the Austin, Dallas, and Forth Worth, Texas areas. They provide a variety of services, including water line repair and replacement, drain line repair and replacement, gas piping, drain cleaning, and many other general services. Maples Mechanical is a full service plumbing and air conditioning company, serving Austin, Texas and the surrounding areas. All of Maple's plumbers are licensed and insured Master Plumbers with over 20 years' experience in the plumbing industry. The business is also licensed for HVAC work. They provide basic plumbing, air conditioning, and welding services. O&M Plumbing Services is a fully licensed and insured plumber serving the central Texas area. They perform a variety of residential and commercial plumbing work, including drain cleaning, plumbing inspection, new construction, remodels, installation and repair of traditional and tankless water heaters, and much more. Pure Plumbing Service has been working for customers in Austin, Round Rock, Cedar Park, Lakeway, Buda, Kyle, Leander, and the surrounding areas since 2008. They perform a variety of services, including but not limited to water heater installation and repair, leak detection, outdoor drains repair, sewer inspection and location, sump pump maintenance, and drain cleaning. Roger's Plumbing is a family-owned and operated plumber, in business since 1994. All of the plumbers on staff are bonded and insured, work out of company vehicles, and use state-of-the-art tools and repair methods. They provide a variety of services for customers in Austin, Texas and the surrounding areas, including basic plumbing repairs, drain cleaning, water conditioning, traditional and tankless water heater installation and repair, and broken water or sewer line repair. S&D Plumbing serves residential and commercial customers in and around Austin, Texas. They provide a variety of services, including drain cleaning, burst pipe repair, sump pump repair, repiping, and hydrojetting. The plumbers at S&D Plumbing take pride in the excellent service they provide, as well as their accountability, empathy, and integrity. Sidney Cox Plumbing has been serving customers in and around Austin, Texas since 1974. They are a licensed and insured plumber, providing a variety of services including drain cleaning, pipe repair, and traditional, tankless, and hybrid water heater installation. They also offer emergency plumbing services for residential and business customers.